Working at Xpand IT since 2013, Dinis Vieira, is an IT Innovation and Research enthusiast, who is always trying to keep “up to date” with the most recent technologies. 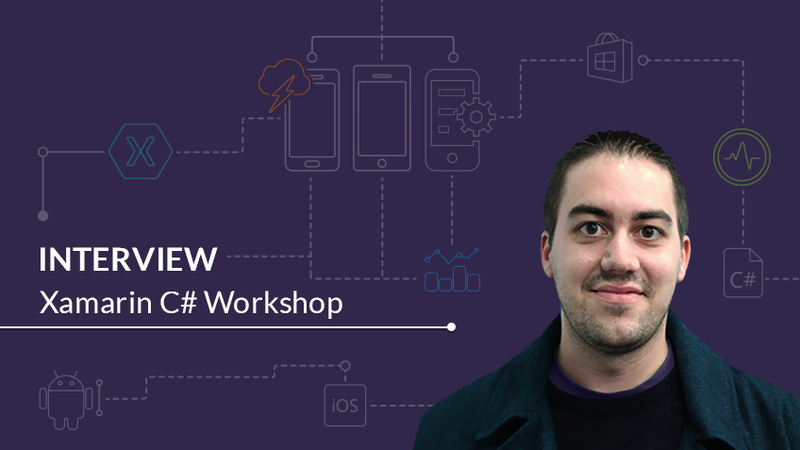 Most of his work has been to develop web and mobile applications, the last one being his main skill (iOS, Android, Windows 8, Windows Phone, jQuery Mobile). He has also done some work with Touchless technologies (Leap Motion/MS Kinect). Recently he’s been focusing on Cross-Platform Development with Xamarin. 1. Why did Xpand IT got an invitation to participate in the lectures of CESIUM? IT Companies know that their connection to universities can favor and improve the products and services that they supply. With the growth of young people more qualified to assume the technological leadership of national companies and ideologically more likely to receive and implement the knowledge generated by universities, the relationship between business and academics tends to draw them together and will probably get stronger with time. To ensure that this relationship works, it is necessary to establish a satisfactory path for both parties and that is what Xpand IT has be doing with multiple institutions of public higher education. The University of Minho though CESIUM, and sent us an invitation to be present at the Xamarim Workshop. When asked, we did not hesitate to accept it as a continuation of these programs. The objective of the partnership program that we have with this and other national universities, is to present university students to new technological solutions, tools that we use to help us develop our projects. This partnership gives us the chance to show students the best and most innovative technologies and tools, witch they certainly have not been aware of during their academic path and thus prepare them for new paradigms when they enter the labor market. In the near future we plan to explore more partnerships like this one with new activities that may bring the academic spirit to our office and we can also share with them a little of our DNA. 2. Which themes were approached in the lecture? The objective of this lecture was to serve as an introduction to Xamarin, so there was a lot to show/explain. We started by the mobile platforms themselves (iOS, Android, Windows Phone – which have their own issues and differences), passing by the used programming language (C#) comparing the differences to the platform’s native languages (e.g. Objective-C, Swift, Java). We also looked into the development tools like the IDEs (e.g. Visual Studio, Xamarin Studio, XCode) and the emulators to run the Apps while developing. Obviously this is a bit too much to show in merely two hours so we did this by having a small thirty minutes theoretical introduction and the remaining time was a “hands-on” exercise in which they had to build a small app for two different platforms. The App actually connected to an API and had some basic controls, so it was a good way for them to learn/experience Xamarin as a cross platform development platform. 3. Which are the most frequent doubts raised by the students community? Most of the doubts during the “hands-on” exercise were related with the tools themselves. How to configure the emulator and, most of all, how to use Visual Studio to develop with Xamarin. That said, there were a lot of doubts in how to use Xamarin and what they could achieve with it, as well as what were the limitations and performance when compared with developing natively. Most developers and students think that there are a lot of limitations and performance penalties when they use Xamarin, which is generally not true. Some also have some difficulty, in distinguishing Native Apps from Hybrid Apps and Xamarin itself. 4. In spite of the new platforms to activate the”cross platform” momentum, the development for the mobile platforms is not a new theme. Did you feel that both teachers and students were prepared for these themes? Most of them are not. A lot of computer science courses are not prepared for mobile or even web development, much less “cross platform” solutions like Xamarin. Some students did know about mobile development but it was mostly because they did the research themselves or developed mobile apps as a hobby. That said, in the Computer Science course at the University of Minho they were going to build mobile Apps in one of their final projects. 5. And towards this scenario, initiatives were discussed so that these issues are increasingly being addressed in a structured way at the University of Minho? 6. The lecture had “full house” therefore we can assume that was a success and it’s to repeat? On these kind of events, it is not usual for all of the enrolled participants to show up, so having a “full house” was a great start. On the other hand, it could have been an issue if the students had many questions during the “hands-on” exercise. Fortunately that was not the case, they were pro-active a managed to solve a lot of small issues without my help and even helped each other in many situations. Also the students stayed right until the end of the workshop – which is something unusual – and some actually stayed longer so that they could ask some more questions or get some opinions on some mobile apps they were developing. So, with all of this combined it was definitely a success and hopefully no the last time. We just need to wait for the next invite.